An introduction to the life and style of the amazing Paul Erdös. Paul Hoffman describes the life of Erdös in an intimate and entertaining glimpse into the global world of mathematics. Erdös was unusual not only intellectually but also in the way he lived, forsaking all creature comforts – including a home – to pursue his lifelong study of numbers. 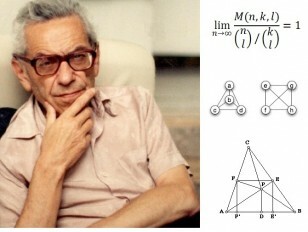 Remembered as a charming yet impish philosopher-scientist, for more than six decades Erdös lived out of two tattered suitcases, criss-crossing four continents at a frenzied pace, chasing mathematical problems.